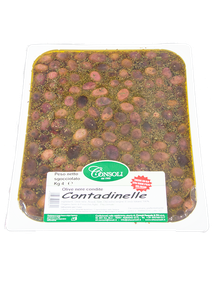 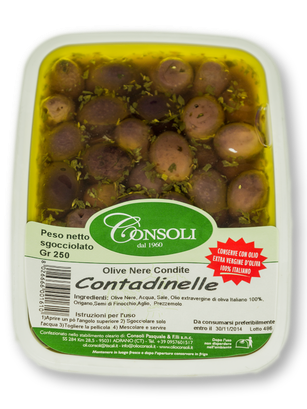 The Contadinelle table black olives are obtained from olives cultivated on the volcanic slopes of Mount Etna, particularly from Simeto River Valley and Catania Valley. 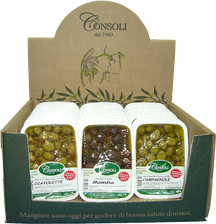 Olives Variety Moresca and Tonda Iblea. 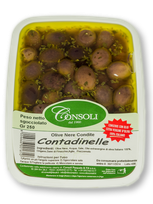 Bblack olives, 100% Italian extra virgin olive oil, parsley, origan, garlic, fennel seeds.